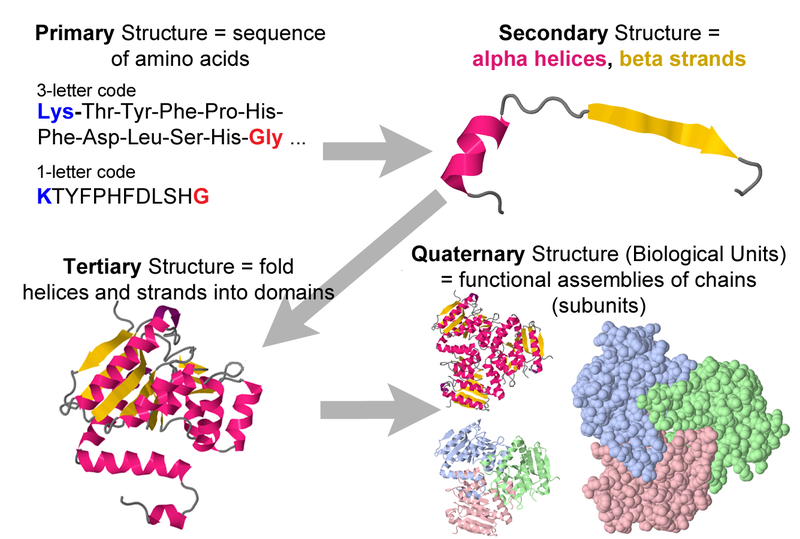 The images below summarize the primary, secondary, tertiary and quaternary levels of protein structure. These images are also available as a SLIDESHOW, or simply click on each image below to display it full-screen. 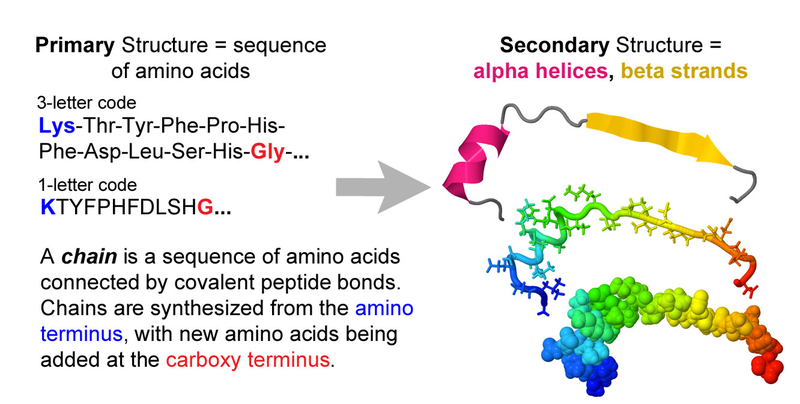 Helices in Proteins compares alpha, 310, and pi helices. This page was last modified 16:01, 27 May 2018.